Lets cut straight to the chase on what is necessary to learn this casting technique properly and where you are best to gain this rare information from. These days many can acquire a casting instructor certificate that gives the 'authority' to set up as an instructor. My take on this is that this approach isn't necessarily a guarantee of quality when you are booking a Speycasting lesson as much of the tuition given these days is carried out using the popular shooting head systems in full floating versions which does little to teach the value of an effective line lift or the importance of watching the anchor point for a slick power stroke release to avoid your sink tip bedding in to the surface of the river too much. Look for a good communicator who can effectively put across the logic behind the rod movements in simple 'non technical' jargon and in an understandable manner and someone who has the patience and humour to relax whoever they are teaching. 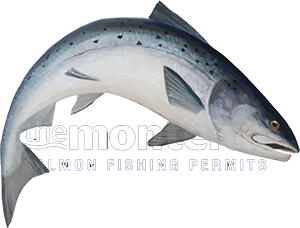 As importantly look for someone who's casting & fishing techniques impress you enough to let you fully see that they know their trade and not just in mastering the arial artistry of a fly line as that only represents a small part of what it takes for consistent success in salmon fishing. The above skills are sometimes found in a fisher who has a casting certificate from one of the many recently formed casting authority bodies. Where you're more likely to find the above attributes is in the ranks of the professional 'time served' salmon men of Scotland who staff our beautiful salmon beats. These men in many cases have decades of experience with the Spey rod and how to teach the intricacies of this amazing cast. These men have also learned how to deal professionally with all visiting salmon fisher personalities and developed the skill of knowing when to back off or apply more knowledge during a lesson when the student is ready and not before. Personally I can explain the basic mechanics of the traditional Scottish Spey cast in under 10 seconds then break the 3 stages of the cast down into easy to understand & logic backed components. That should let you understand that learning this cast properly is not and never should be a complicated topic. This method of teaching was developed over 15 years of teaching beginners how to get going quickly & effectively with a salmon fly rod which was often a daily necessity when running a busy salmon beat on the River Tay.